Called a densitometry method for the quantitative measurement of optical density in light sensitive materials such as paper or film, by exposure to incident light rays. Optical density is a measure of weakening the light when passing through the transparent material for him. In mathematical form it is expressed as the decimal logarithm of the ratio of the density falling on the stream object to the density of the stream coming out of it. For this study requires a radiation source and a receiver. They can measure the radiation that has passed through the object, according to this principle works most devices of this type. The second, less common design option – an instrument that measures the reflected radiation. 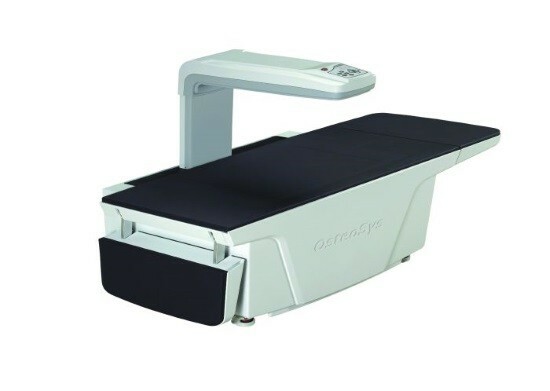 The latter is not used in medical facilities as it is easier and more accurate to measure the last rays. 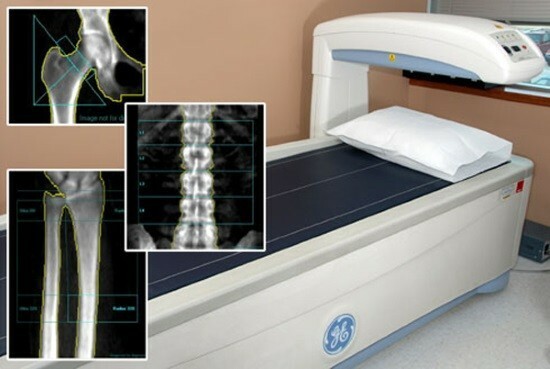 Using densitometry, it is possible to obtain not only the image of the pathological process, which occurs inside the bone, but also to measure the quantitative parameters of its structural matrix, such as content of mineral salts (g), bone mineral density (g/cm2) and volumetric mineral bone density (g/cm3). The most accurate is indicator of mineral content (BMC from Bone mineral content). More important is the index mineral density (BMD — Bone mineral density), since its correlation with the risk of fractures is higher, which means it has a greater prognostic value. The last parameter (volumetric mineral bone density) is measured infrequently, for, in order to obtain it, it is necessary to conduct a special type of computed tomography, and apply expensive processing program. Today, there are several ways a detailed definition of the mineralization of the skeleton. When conducting single photon absorptiometry bone radiation source acts I125 with quantum energy of 27.5 Kev, and for two-photon – Gd153 with energies of 44 and 100 Kev. Single-photon type of research is more common because of its simplicity and convenience. Two-phase machines are more perfect, but are more expensive and require more skill from the doctor. During the procedure, the computer equipment compares two peak x-ray energy. After treatment it is possible to determine BMC and BMD. A distinctive feature of this method is that to evaluate the bone structure in the separate «areas of interest», which include bones of the forearm, vertebrae and proximal femur. 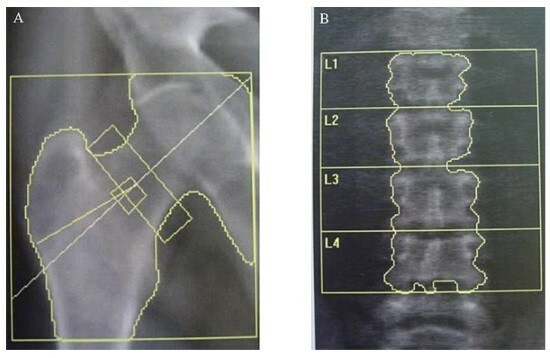 To date, the technique of densitometry can be used as a screening for the early diagnosis of involutional osteoporosis. 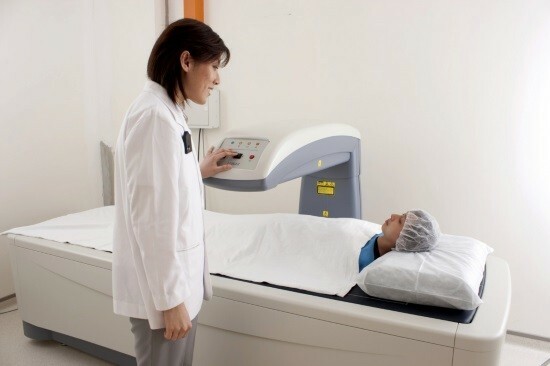 As the method implies a rather low radiation dose (less than the usual x-ray examination), doctors can perform multiple treatments at frequent intervals. This helps to evaluate the effectiveness of prescribed therapy or to determine the activity of the process. To stop taking calcium drugs the day before the procedure. Clarify whether the patient in the near future, studies using radio-opaque substances. During the procedure, you cannot move, you need to keep one posture, so as not to smear the image of the future. The duration of the examination rarely exceeds thirty minutes. It is carried out after the patient takes the required position on the diagnostic table. Under it is the generator of radiation, and above it is usually a detection device. A sensor is moved on certain areas of the body, thereby measuring levels of radiation, which is recorded in the computer memory and processed in it. After the calculated data displayed on the screen medical monitors. Sometimes the limb can commit to decrease its mobility and to obtain a better image. With the same purpose of a person may be asked to hold your breath and not move. After processing, the sections of bones in the image have different intensity, they are assigned different scoring. If it is low, it means that there is a decrease in mineral density of bone tissue, and probably osteoporosis. Women after menopause who do not take estrogen. Women after menopasue having high growth or too thin. People having any disease or receiving drugs that can lead to loss of bone mass. People with a family anamnesis of osteoporosis. Patients with diabetes of the first type. A high level of metabolic processes in the bones (high performance deoxypyridinoline in the urine). People who develop a fracture after a mild trauma. People whose x-rays showed signs of fracture of the spine. As such, contraindications to this procedure does not exist. It can not only be carried out if the patient is pregnant, because even a small exposure can adversely affect the fetus. The equipment can be fixed for densitometry the bones of the pelvis, spine, thighs, and portable. With the help of latest it is possible to measure the bone density of the phalanges, calcaneus. But such procedures is only possible in hospitals and diagnostic centers, as we are talking about the use of x-ray radiation.